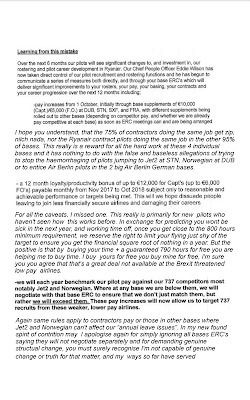 "EXCLUSIVE" SENT TO RYANAIRDONTCARE CAMPAIGN. 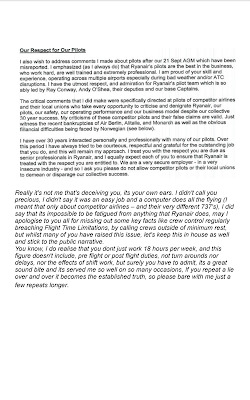 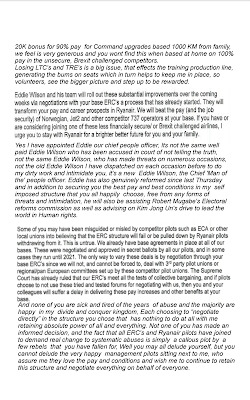 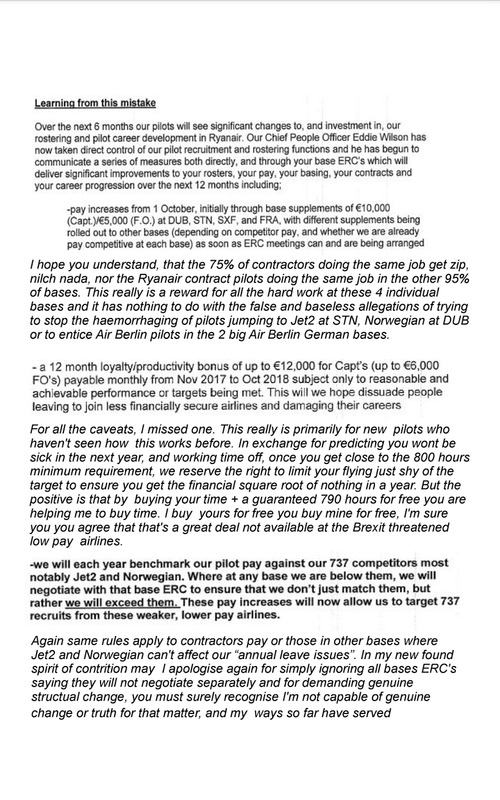 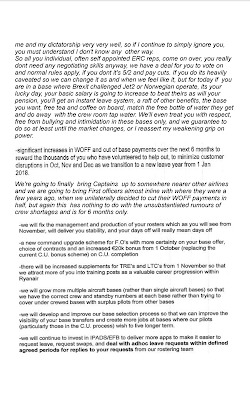 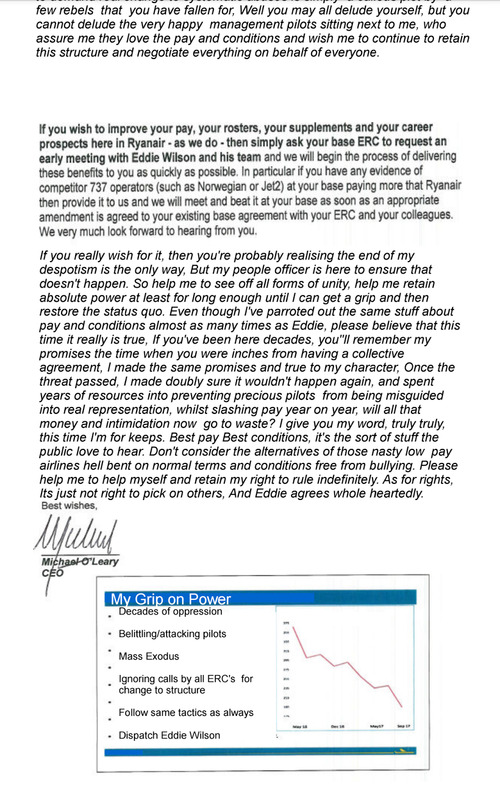 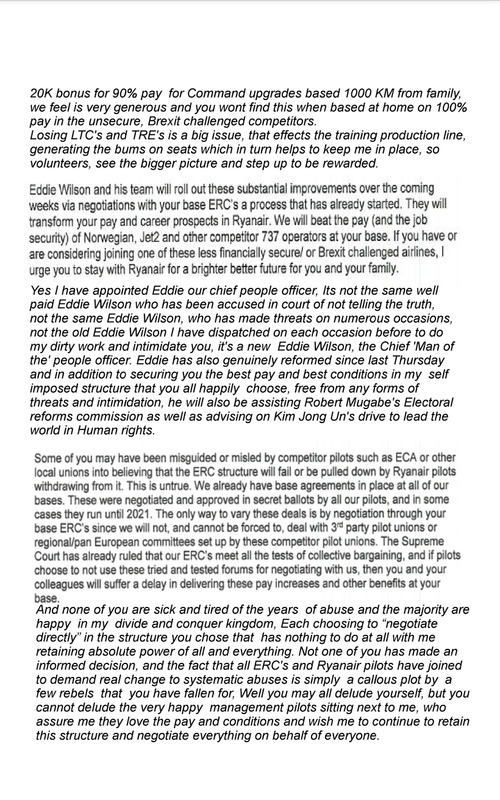 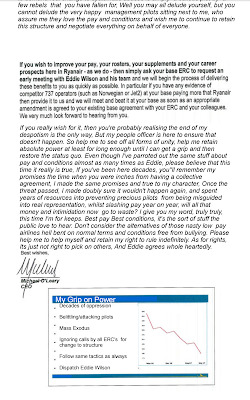 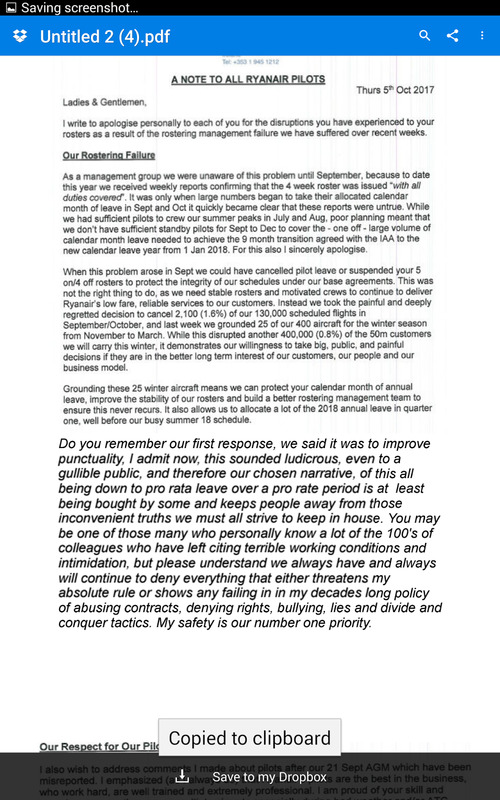 Letter sent internally by Michael O'leary to Pilots yesterday and under each paragraph is a serving Ryanair Pilots answer to Ryanair's CEO Michael O'leary. 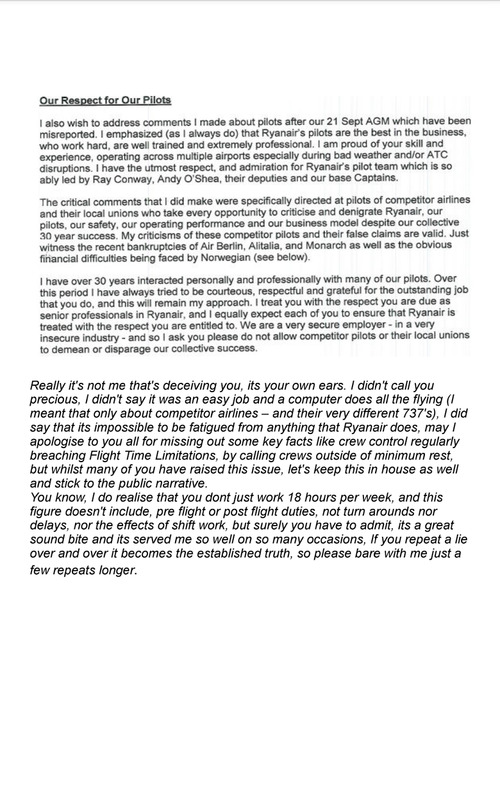 John said, Truth told be a professional Pilot. 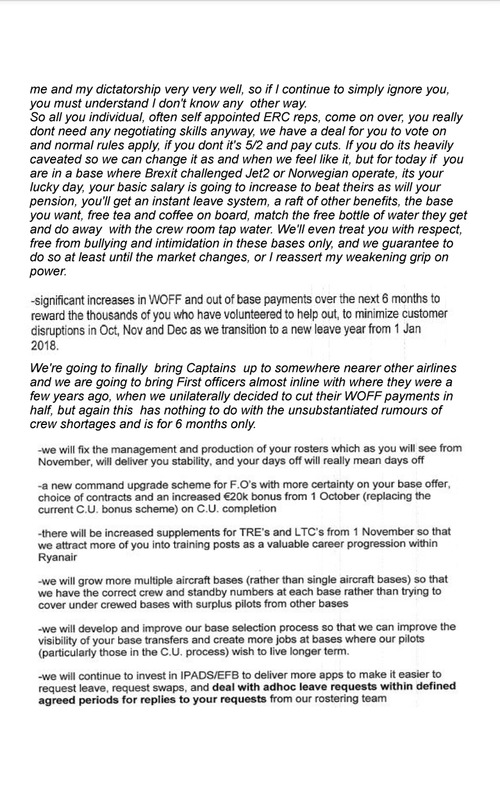 Thank you (D).